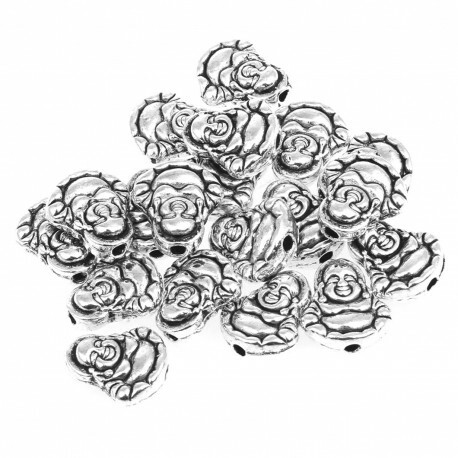 Metal Buddha to mount jewelry. 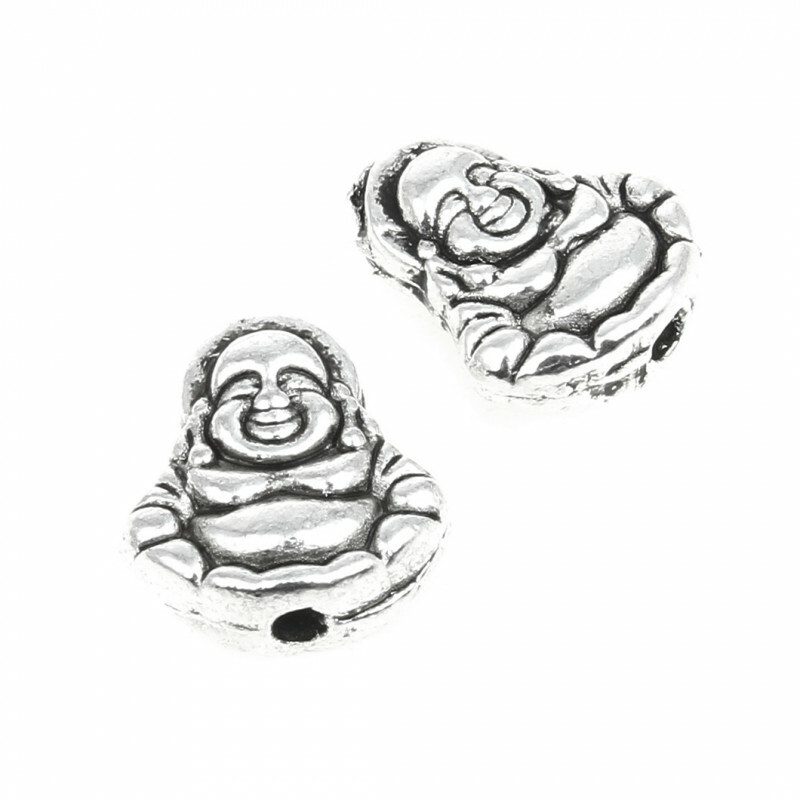 If you want to mount jewelry, choose this Buddha-shapd bead made of a zinc alloy in antique silver color. Measures: 10 x 11 x 5 mm and about 1 mm hole. A bag of 20 grams contains about 15 pieces.